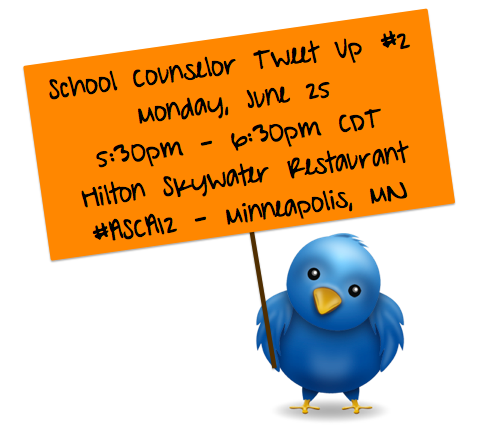 WE ARE HOSTING TWO SCHOOL COUNSELOR TWEET UPS at the ASCA National Conference! I wanted to give you details about our upcoming LIVE School Counselor Tweet Ups at the American School Counselor Association Conference in Minneapolis, MN. Our first School Counselor Tweet Up will be held Saturday, June 23 in the Hilton's Grand Ballroom. This Tweet Up will take place during the Dance Social at approximately 8:30pm CDT. 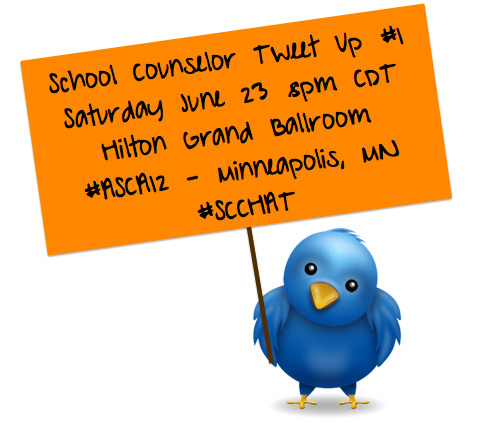 Our second School Counselor Tweet Up will take place the same day as the Web 2.0 Technology Smackdown presentation! Don't miss it! :) We will be meeting up in the Skywater Restaurant in the Hiton from 5:30pm - 6:30pm CDT. Are you excited to meet up with your Twitter friends live? 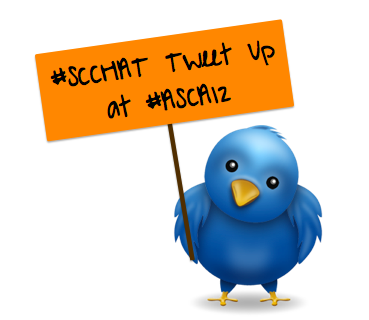 What are you looking forward to during the ASCA Conference?